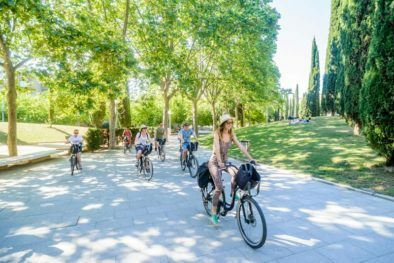 As the name implies, Barcelona eBikes dispense with the traditional bicycle and uses modern electric bikes instead. These power-assisted vehicles make cycling all day easy – even pedalling uphill is a doddle – which means you can travel further and explore more than from the saddle of a traditional two-wheeler. 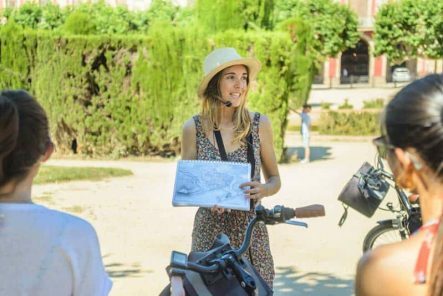 This small, personable company offers a total of four distinct tours. The first is La Sagrada Familia tour, where you cycle up to Gaudi’s most famous monument and skip the lines (great news, as they are often up to two hours long!) to venture inside this unique basilica. The second is The Gaudi Tour (without Sagrada Familia entry), which takes a broader look at the works of this genius architect as well as a ride in the enchanting Parc de la Ciutadella. 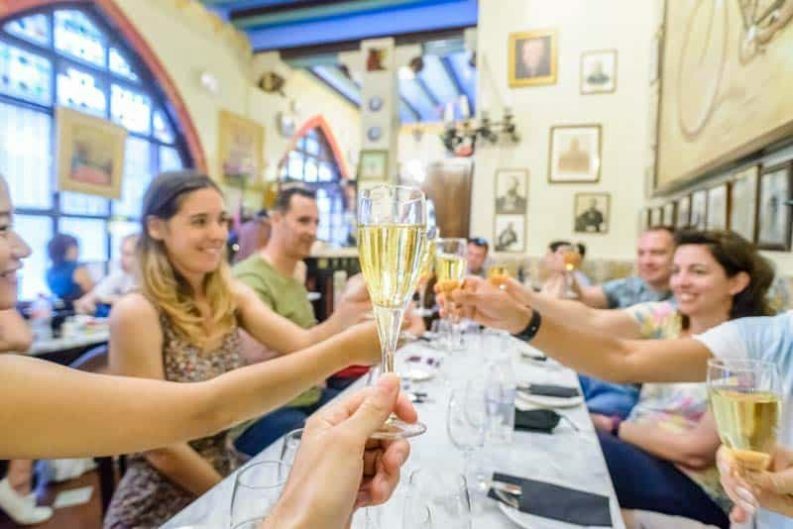 The third, a more alternative option, guides you through the lively districts of Raval and El Born, and finishes with fine wines and cheese at an absolute gem of a Spanish bodega (wine cellar). 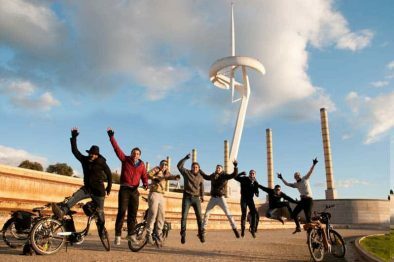 Finally there’s the Montjuic Sunset Experience, which takes you up the slopes of Montjuic mountain for panoramic views over the city every Fri/Sat/Sun evening during summer. 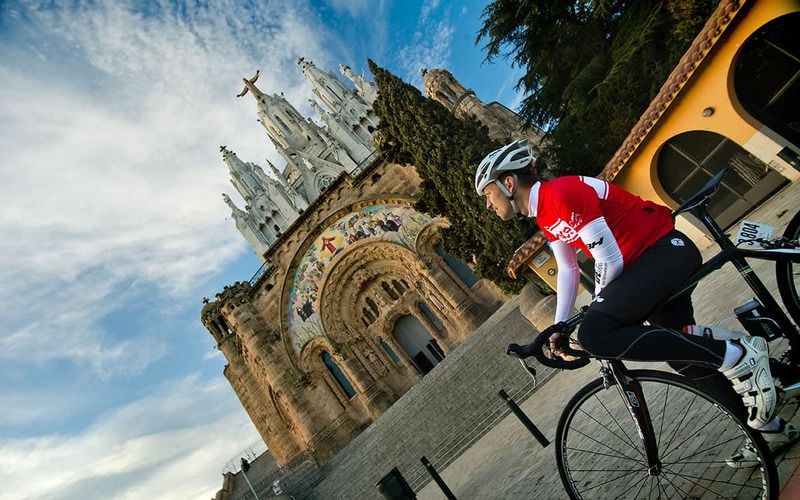 The meeting point for all tours is at the Gothic Cathedral and you should book in advance via their website. 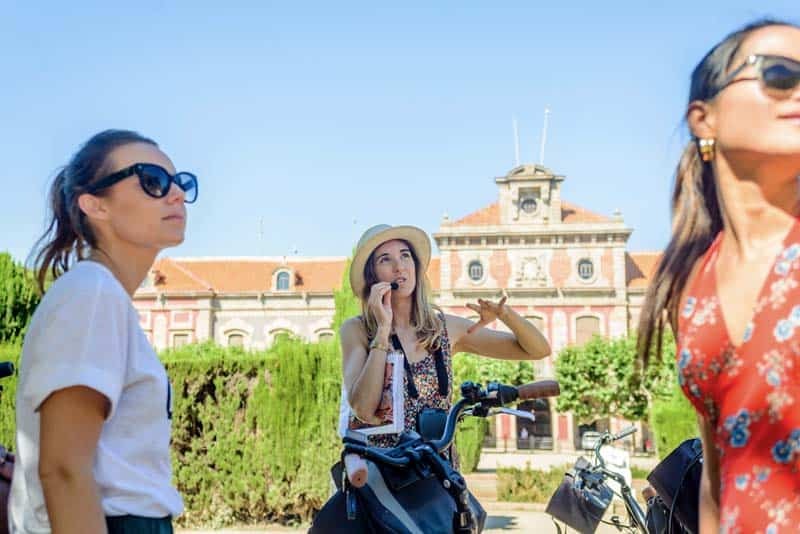 All tours are led by an English-speaking guide who will teach you how to ride the electric bike before you set off (it takes about 2 mins to learn! 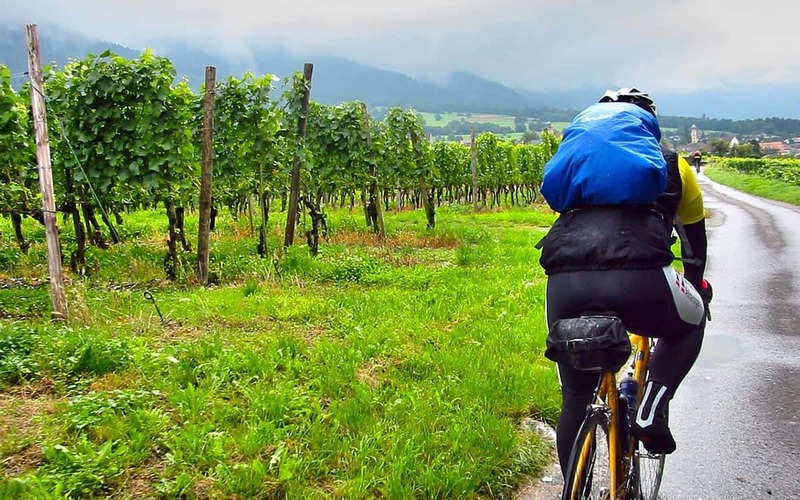 ), and naturally you can also find a more detailed itinerary of each route on their website. 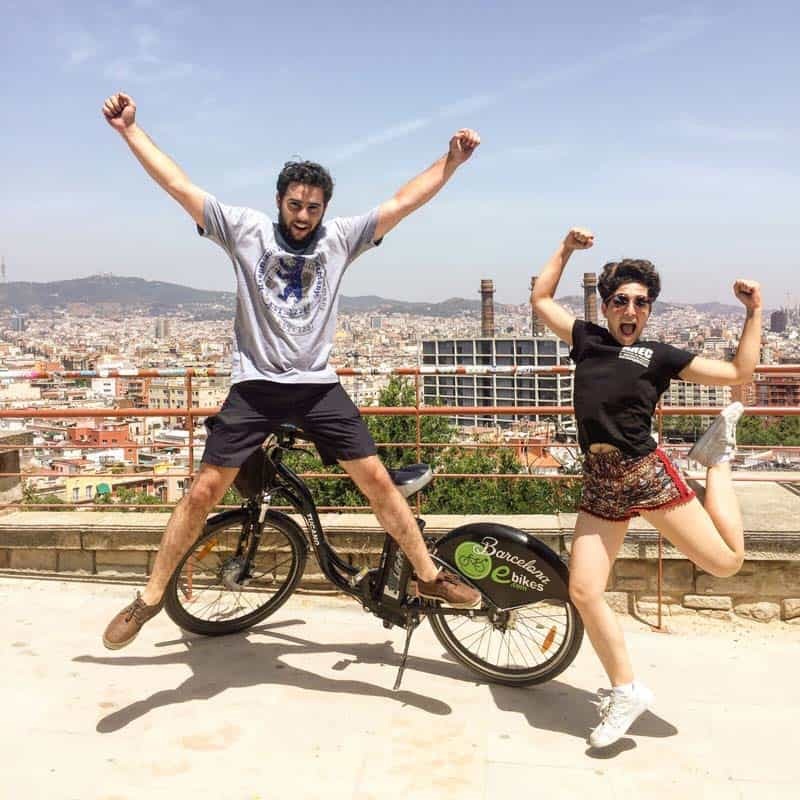 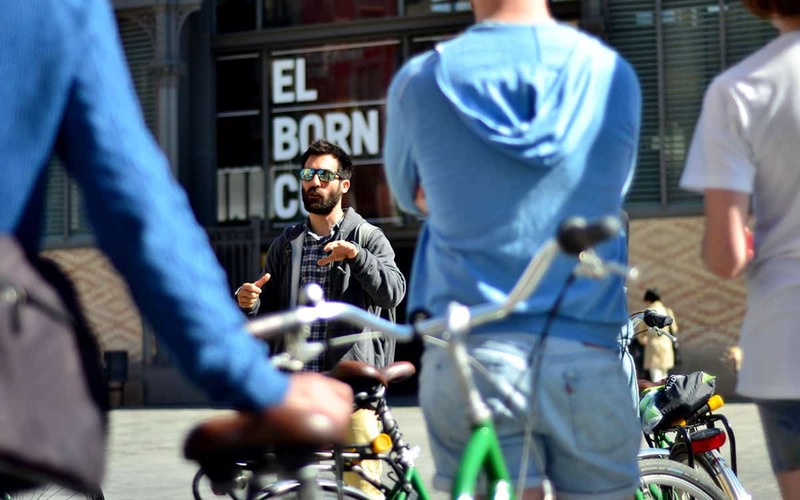 Hi, just letting you know we really enjoyed the e bike Gaudi tour, our guide was very knowledgeable and informative, and we appreciated his patience with us as we got used to the bikes, :) we would not hesitate to recommend this tour.